As citizens around the world we are alarmed that glyphosate is "probably carcinogenic to humans." We call on you to exercise the precautionary principle and immediately suspend approval of glyphosate, present in herbicides like Monsanto’s RoundUp. We request you include the studies in the International Agency for Research on Cancer's report in your current safety assessments, and ensure all reviews are transparent, based on independent studies, and evaluated by independent researchers without conflicts of interest. Until glyphosate can be proven safe, you must ensure people are not exposed to it. 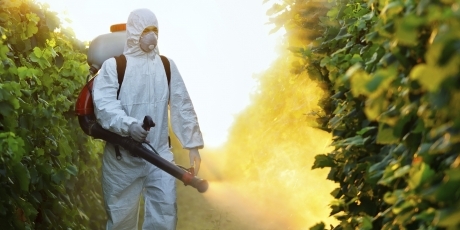 Top scientists warn the most commonly used herbicide in the world probably causes cancer! Monsanto is demanding the World Health Organisation retract their ground-breaking report. And experts say the only way to ensure the science is not silenced is if the public demands action, now. The regulatory system is renowned for being secretive and captured by the agro-chemical industry. But we have a unique moment right now -- the EU is officially reassessing glyphosate, with similar processes underway in the US, Canada, and Brazil. And the Netherlands, Sri Lanka, and El Salvador are all looking at a ban. The threat is clear -- this poison is used on our food, our fields, our playgrounds, and our streets. Let's get it suspended. Join the urgent call on the right and tell everyone.